Today on #AYearOfBuses, it’s a biggie. 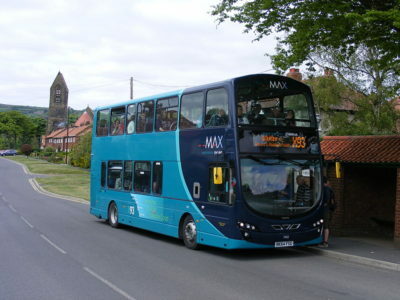 We’re heading back to North Yorkshire for Coastliner’s 840 – officially Britain’s Most Scenic Bus Route. 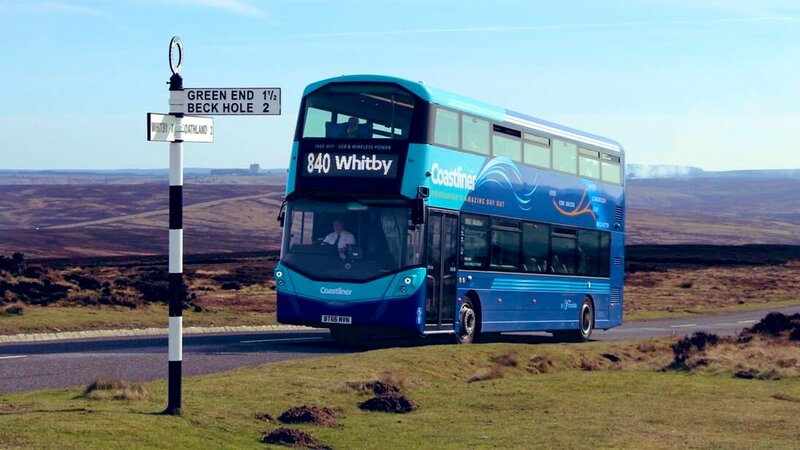 In May 2018, Coastliner’s 840 (Leeds – York – Whitby) took the title amongst hundreds of entries to be crowned with the title of Britain’s Most Scenic Bus Route. 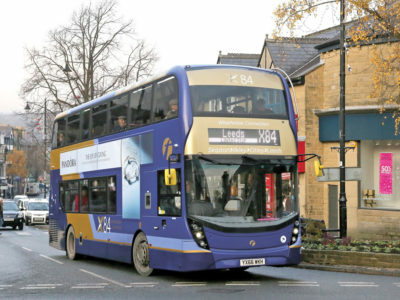 Crossing the spectacular North Yorkshire Moors National Park, passing by the Hole of Horcum and through picturesque towns and villages including Pickering, Goathland and Sleights, it’s easy to see why the 840 takes it by a country mile. That’s even before we’ve touched on the breathtakingly crisp sea air Coastliner takes in at the coastal town of Whitby, or the hundreds of years of history you can soak up navigating York’s Roman city walls. The buses themselves have been designed from the ground up to make the very most of these photo opportunities – with huge, comfy part-leather, part-moquette coach seats upstairs, arranged around tables featuring bespoke illustrations, 3 pin plugs, wireless charging pads and USB power – and a whole host of other onboard creature comforts including free WiFi, contactless payments and audio-visual announcements. 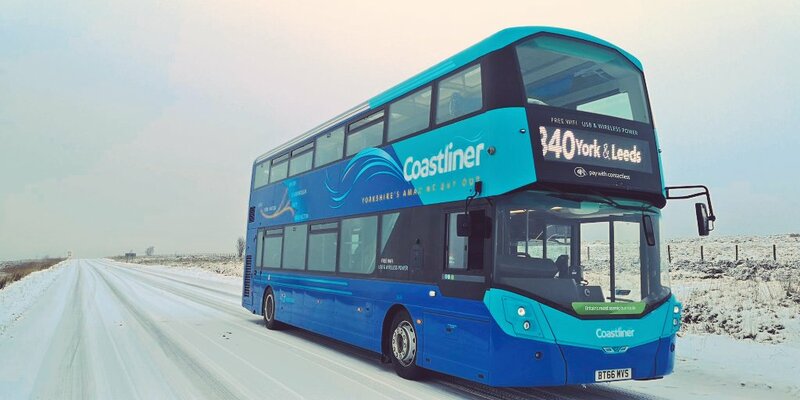 The two-tone blue Volvo double deckers have evolved the Coastliner brand (now over 25 years old!) 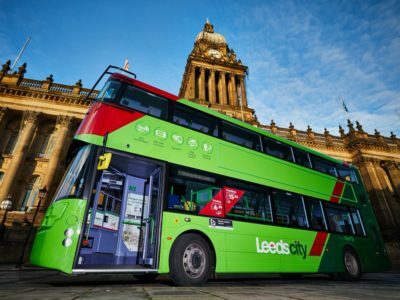 to seamlessly complement the beautiful landscapes they cross each day, with sumptuous bespoke illustrations adorning the rears, the coves inside and the staircases – each bus featuring its own unique combination of Best Impressions-designed goodness. 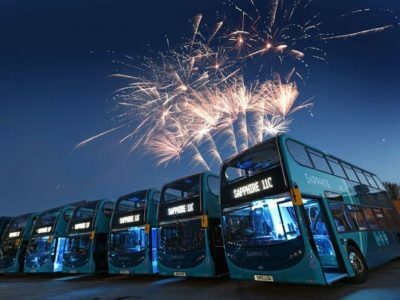 Coastliner 840 is not only Britain’s Most Scenic Bus Route – it’s a branding, marketing and creative design masterclass.